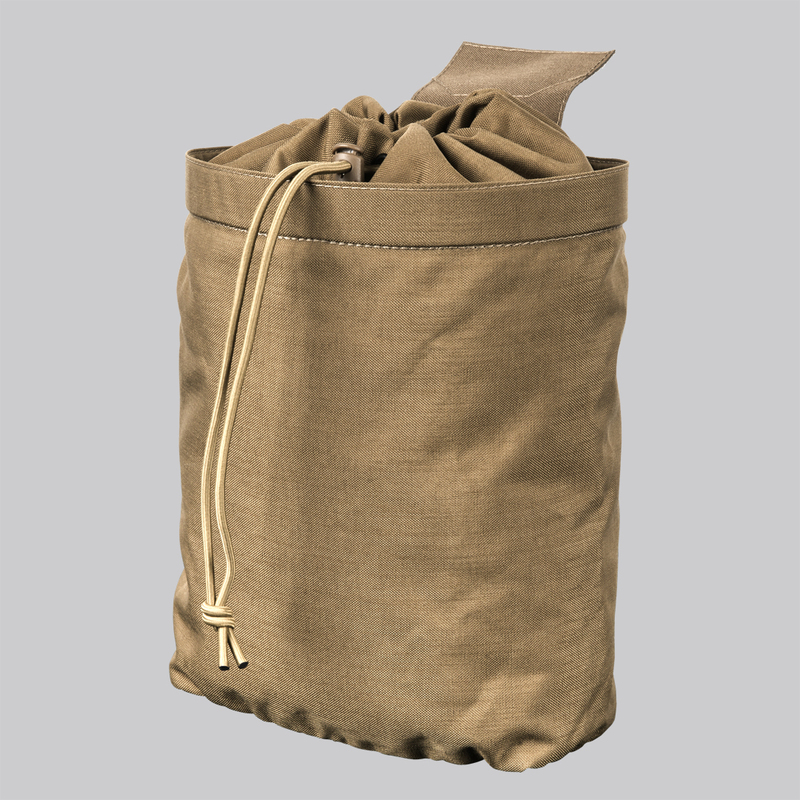 Large, roll-up dump pouch. Made of 500D Cordura® with drawstring collar to secure contents. Empty pouch rolls into compact package - when needed can be deployed by opening Velcro® flap with a hefty pull of a Hypalon handle. Mesh bottom prevents dirt from cumulating inside.